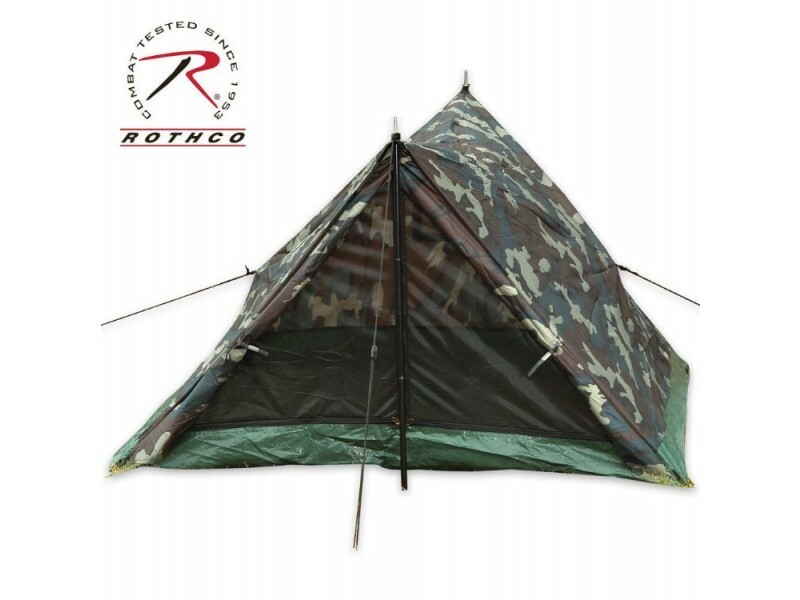 The Rothco 2 Man Woodland Tent has a camouflage pattern and is constructed of fire retardant, waterproof materials. It is lightweight and easy to transport. Also has a polyurethane coated lightweight taffeta and a reinforced polyethylene floor. The tent is waterproof and fire retardant to give you the best level of protection from the elements. It features a full zippered nylon mesh front door with storm flaps, a large mesh rear window, aluminum poles, stakes, ropes, and a stuffsack. 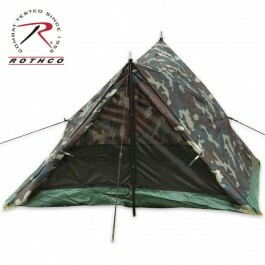 The Rothco 2 Man Woodland Tent can comfortably fit two people. Size: 84" x 60" x 36"